In many ways, a Professional Employer Organization (PEO) and an Employee Staffing (Staffing) company are similar, but in fact they live at opposite ends of the HR spectrum. In this article, John Will Tenney of EmployerNomics and PEO Pros explains the history and formation of PEOs and a little of the differences and similarities between PEOs and Staffing. In the early 80’s, a few enterprising, hi-tech individuals left their large traditional companies and formed their own hi-tech firms, with an emphasis on bidding on large government contracts, including military and other DOD contracts. These problem solvers saw a way to better control costs by avoiding permanent hires, and hence avoiding the liability of permanent employees, by forming and using hi-tech staffing companies. The staff of these companies were only “employed” when the hiring firms had existing contracts that could cover the costs of the staff. Hence, they were able to bid a fixed cost with lower overhead, these new hi-tech firms were very competitive and won many contracts. In response, the older, traditional hi-tech companies (who also had some brilliant business minds) put their heads together to come up with an answer to this challenge. The idea of firing all their employees and hiring long-term staffing employees was not attractive, so they came up with what was called “reverse staffing.” All of their current employees were “transferred” to staffing companies created just for this purpose, maintaining longevity and seniority. These initial “reverse staffing” companies came to be known as Employee Leasing Companies, or ELCs. In this case, the ELC was the employer of record, and handled all payroll, benefits, insurance and HR needs for the employees. In this way, the employee cost became a line item for the hi-tech firm, which in the accounting world is very desirable for simplification of taxes. It wasn’t long before the owners and operators of the ELCs discovered that this benefit didn’t need to be restricted to the parent company, but could be shared, or more to the point sold, to third parties. The construction and security industries were the first to recognize the advantage (hence Wackenhut was one of the first ELCs) but others soon followed. It was convenient and reassuring to place employees with an outsourcing firm that assumed much of the reliability and headaches associated with being an employer. Currently, it is estimated that about 40% of the Florida workforce is either employed by a staffing company or a PEO (formerly known as an Employee Leasing Company). So How Are They Alike? Both entities provide payroll, insurance, benefits and HR services for employees “leased” to other companies. Both have advantages of “master” insurance policies which allows leveraging for better rates. Both can take advantage of professional HR systems and procedures to insure a safer workplace and lower unemployment rates. OK So How Are They Different? The easiest way to explain it is that if you don’t have employees yet, but are thinking of adding some staff or labor to your workforce, you may consider a staffing company. Kelly is a famous temp staffing company. There are also many hi-tech staffing companies still around such as Volt Technical. 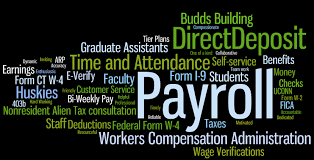 If you already have employees but wish that someone else would take care of the headaches of payroll, the hassles of workers’ comp insurance, the difficulties of large group health plans, the perennial fear of increased unemployment tax rates or even just remove the fear of an employee lawsuit by getting professional HR assistance, you would consider entering into an agreement with a PEO. So What is Co-Employment and How is it Different than Leasing? Recently, many states are passing legislation and codes to limit the complete transfer of employment to a PEO, and a new term has emerged, called “co-employment.” In this case both the PEO and the client are considered employers of record, but the duties and responsibilities of each or both are defined in the contract between the client and the PEO, called the Client Service Agreement (or CSA). It is very important to read this CSA thoroughly before entering in to an agreement with a PEO. It will be the governing document in any future employee disputes. You can consult a labor attorney of course, and you should also consult a competent PEO broker. We became brokers because we could see the need for a third party in the agreement between a client and a PEO, much the same as any company will always need an insurance agent to negotiate with an insurance company. And of course you can always contact one of us at PEO Pros or EmployerNomics. But remember, we can’t help you if you don’t call.